Cover artwork: Photo © Michele Crosera / Fondazione Teatro la Fenice. A glittering international cast of soloists revels in the seductive allures of Monteverdi's opera as the familiar Homeric epic gives voice to moral ambiguities as pertinent today as they were in the Venice of 1641. Claudio Monteverdi may have felt some resonance with the opening line of the prologue to Il ritorno d’Ulisse in patria (1640), delivered by the allegorical character, L’humana fragilità (Human Frailty). At the age of 73 he was taking the extraordinary step of returning to the operatic stage. His long history of writing music for the theatre had begun while he was employed as a musician at the court of Duke Vincenzo Gonzaga of Mantua. There he had been involved in all the major theatrical genres of the late Renaissance, including plays with intermedi, sung and danced balli and a new Florentine invention: the favola in musica—or what we now call opera. For the last, his L’Orfeo (1607) is a wholly remarkable work and the earliest example of the genre that has a place in the repertory. He followed it with Arianna (1608), which attracted huge attention at its time, but the music is now lost apart from its famous lament for Arianna. Monteverdi’s move to Venice in 1613 necessarily forced him to focus more on music for the church and for civic ceremonial in his capacity as choirmaster of St Mark’s Basilica. But he continued to write secular and even theatrical music in response to commissions from Mantua and other north Italian courts (including Parma), as well as from Venetian noblemen closer to home, and in the 1630s he forged connections with the Habsburgs in Vienna. No-one can have expected him to return to writing full-length operas so late in his career, however. Why he did so, and how he managed to accommodate himself to new and rapidly changing musical styles, are questions that demand some exploration. During the first third of the 17th century, opera had only a sporadic history in the north Italian courts and in Rome. Operas were essentially occasional pieces designed for single performances to celebrate special events. Nor were they always popular, given that courtly audiences did not have a great desire to sit for long periods passively observing the playing out of a musical drama on the stage. The number of operas produced was small—and the number that were repeated was smaller still—so it is hard to speak of a continuous tradition. In 1637 the Teatro San Cassiano in Venice opened its doors as an opera house for a paying public. The initiative seems to have come from two musician-poets, Benedetto Ferrari and Francesco Manelli, who formed a troupe on the model of the players of the commedia dell’arte who were a regular fixture in Venetian theatres and elsewhere. For some reason, the idea took off: five new operas appeared in the next three seasons and three other opera houses had opened up in the city by 1641. By the end of the 1646/47 season, some 33 new works and six revivals had been staged there. The new public opera was clearly a commercial success. Venice had a ready-made market not just from its citizens but also from the tourists who then (as now) travelled to the city to enjoy its architectural and artistic delights—and also its sensual pleasures. When the English visitor Thomas Coryate visited Venice in 1608 he drew particular attention to the music that could be heard there in churches, on the streets and by way of the delicate hands and warbling throats of seductive courtesans. The fact that the opera season essentially ran through Carnival (officially, from the day after Christmas to the start of Lent) tended to accentuate its libidinous pleasures derived from its subject matter and also from its performers. The resulting opera industry in Venice depended on complex interactions between theatre owners, impresarios and independent entrepreneurs: poets, composers, singers, instrumentalists, dancing-masters, stage designers, costume manufacturers—and so on and so forth down the line. Presumably there was money to be made in the venture, even if success depended on a gamble that could be won or lost. We do not know whether Monteverdi saw any profit in the enterprise. But as the most distinguished musician in Venice at the time, he was clearly enlisted to serve the cause. Monteverdi moved cautiously, staying in the wings in the first three seasons of public opera in Venice. For Carnival 1640-41 he also in effect played two theatres against each other, reviving his Arianna at the Teatro San Moisè and producing a new opera, Il ritorno d’Ulisse in patria, probably at the Teatro Santi Giovanni e Paolo. It is hard to imagine what Venetian audiences might have made of Arianna, by now over 30 years old (we do not know whether Monteverdi revised any of its music, though the text did not change much). As for Il ritorno d’Ulisse in patria, the impetus appears to have come from its librettist, the Venetian nobleman Giacomo Badoaro, who claimed in an open letter to the composer that he wanted to tempt him out of retirement so that Venetian audiences could understand how real emotions might be represented on the musical stage, rather than the faded imitations produced by other contemporary composers. 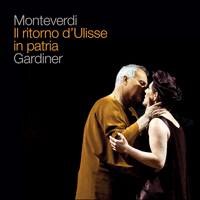 Monteverdi rose to the challenge, and with significant success, it seems: Il ritorno d’Ulisse in patria was performed at least ten times during its first season, then taken on tour to Bologna by Ferrari and Manelli, then revived in Venice the next year. For the 1641/42 season Monteverdi also composed Le nozze d’Enea con Lavinia (the music is now lost), and for 1642/43 the wholly astonishing L’incoronazione di Poppea. As is typical for Venetian opera, the surviving sources for Il ritorno d’Ulisse in patria are somewhat problematic. Some librettos divide the opera into five acts rather than three, and a version survives with a different prologue (for which we have no music). The single musical score that we have was copied probably in the 1650s, and it somehow reached Vienna (where it now survives) a couple of decades later. Some music is missing (for example a ballo in Act 2 as the suitors woo Penelope) and might plausibly be borrowed from other sources. Il ritorno d’Ulisse in patria is based on Homer’s Odyssey (XIII-XXIII), Le nozze d’Enea con Lavinia on Virgil’s Aeneid, and L’incoronazione di Poppea mostly on the Roman historian Tacitus. These sources somewhat stand apart from other Venetian operas of the period that draw on classical myth, Renaissance epic (Ariosto and Tasso) or pastoral. But while myth, epic and pastoral are always open to symbolic and allegorical interpretation—which is their point—Monteverdi and his librettists seem to play closer to home. The issue appears to hinge on the involvement of the Venetian Accademia degli Incogniti, a libertine group of Venetian noblemen who were also fiercely republican in their political orientation (as was Venice itself). As we find in other Incogniti-derived operas from the period, the representation on stage of good Greeks, good or bad (depending on your point of view) Trojans and bad Romans clearly had strong political resonances, not least given modern Venice’s own deeply problematic relationship with Rome and the Papacy. In the case of Il ritorno d’Ulisse in patria the descent of Penelope’s ‘court’ into the depravities of unwelcome suitors and their parasites carries a strong message: our hero, Ulysses, requires only a modicum of divine intervention in order to restore order to so corrupt a political world. Opera was almost by definition, and in almost any period, likely to be morally suspect—not just because of its subject matter but also because of its use of music. The genre’s supporters claim that music penetrates dramatic situations and emotional and psychological depths unavailable to mere speech. Its detractors—if they do not simply dismiss opera on the grounds of its lack of verisimilitude—claim that this defence is pure tosh: opera is frivolous and hinges solely on a vapid display of vocal virtuosity. Early court opera had established principles whereby characters would deliver their lines in a declamatory style (which we now call recitative), responsive more to the demands of the text than to music per se. This declamatory style could then shift into more lyrical, songlike moments at specific points in the action, either where an actual song might be justified on stage (such as Orpheus’ singing to the powers of Hades) or where one could be inserted by virtue of convention (for example an end-of-act chorus). The distinction was clear in musical terms, and also in poetic ones: texts for ‘songs’—we might start to call them ‘arias’—would be in regular stanzas, metre and rhyme. Public opera forced a shift in priorities—who wants to pay to hear an opera containing just sung speech?—and therefore brought to the surface opera’s fundamental dilemma: why should people sing? Of course, singing is not inappropriate for certain types of character—gods, shepherds, serving maids—or situations (seduction, incantation, sleep scenes and so on), and any sensible opera libretto would introduce such excuses for song at every available opportunity. The pattern is clear in Il ritorno d’Ulisse in patria, not least in the handling of the shepherd Eumete, the lower-class lovers Melanto and Eurimaco and the deities, including the highly virtuoso writing for Minerva and Giunone. Befitting his station, Ulisse tends to adopt a more restrained musical language—even at his joyful reunion with his son Telemaco—though he is not averse to singing when the moment seems right. As for the suitors and the parasite Iro, their penchant for song, rather than sung speech, tends to identify them as somewhat less than noble in terms of character and actions. Penelope, however, is clearly problematic. On the one hand, Venetian audiences prized female singers and their seductive voices. On the other, a noble female character who ‘sings’ too readily, and too tunefully, will necessarily enter dangerous terrain: can we trust her virtue or does it come too easy? We first encounter Penelope right at the beginning of Act 1, bemoaning Ulysses’ absence in ways typical of a lamenting woman, with clear echoes of the Lamento d’Arianna, the only music to survive from Monteverdi’s 1608 opera (revived, as we have seen, in Venice). While her recitative plaint is musically eloquent, she has little to sing about. As the opera progresses, Penelope’s servants, and then her suitors, in effect besiege her with song, surrounding her with the seductive triple-time arias that were becoming so prevalent in Venetian opera. She sternly resists at every turn; indeed, her musical language becomes increasingly arid as she descends into emotional paralysis. Only towards the end of Act 3, as she starts to believe hat the stranger in front of her is indeed her long-lost husband, does she start to regain her voice and then allow it to bloom in a glorious moment of release that is all the more powerful precisely because Penelope has ‘sung’ so little up to this point. She can love—and therefore sing—again, and few will condemn her for it. La première ligne du prologue d’Il ritorno d’Ulisse in patria (1640), prononcée par le personnage allégorique de L’humana fragilità (La Fragilité humaine), pourrait avoir eu une certaine résonance pour Claudio Monteverdi. À soixante-treize ans, il accomplissait un geste extraordinaire en retournant à la scène lyrique. Sa longue histoire de compositeur pour le théâtre avait débuté alors qu’il était employé comme musicien à la cour du duc Vincent Gonzague de Mantoue. Là, il fut toujours mêlé à tous les principaux genres théâtraux de la fin de la Renaissance, dont les pièces avec intermedi, les balli chantés et dansés, et une nouvelle invention florentine: la favola in musica—autrement dit, ce que nous appelons désormais opéra. Dans ce dernier genre, L’Orfeo (1607) est une œuvre tout à fait remarquable, et le plus ancien exemple qui ait trouvé sa place au répertoire. Monteverdi composa ensuite Arianna (1608), qui attira énormément d’attention à l’époque, mais dont la musique est maintenant perdue, mis à part la célèbre lamentation d’Ariane. En s’installant à Venise en 1613, Monteverdi, en sa qualité de maître de chapelle de la basilique Saint-Marc, se voyait nécessairement contraint de se focaliser davantage sur la musique pour l’église et les cérémonies officielles. Mais il continua d’écrire de la musique profane et même théâtrale en réponse à des commandes émanant de Mantoue et d’autres cours d’Italie du Nord (dont Parme), ainsi que pour des nobles vénitiens plus près de chez lui; et dans les années 1630 il noua des liens avec les Habsbourg à Vienne. Personne, toutefois, ne pouvait s’attendre à ce qu’il revienne à de grands opéras si tard dans sa carrière. Pourquoi le fit-il, et comment réussit-il à s’adapter aux nouveaux styles musicaux, en rapide évolution? Ce sont des questions qui demandent à être explorées. Dans le premier tiers du XVIIe siècle, l’opéra n’avait qu’une histoire sporadique dans les cours d’Italie du Nord et à Rome. Les opéras étaient essentiellement des œuvres de circonstance destinées à une représentation unique pour célébrer un événement spécial. Ils n’étaient pas non plus toujours très appréciés, car les spectateurs de la cour n’avaient pas grand désir de rester assis pendant de longs moments à observer passivement un drame musical sur scène. Le nombre d’opéras produit était restreint—et le nombre de ceux qui étaient repris plus limité encore—, si bien qu’il est difficile de parler d’une tradition continue. En 1637, le Teatro San Cassiano à Venise ouvrit ses portes en tant que théâtre d’opéra pour un public payant. L’initiative semble être venue de deux musiciens poètes, Benedetto Ferrari et Francesco Manelli, qui formèrent une troupe sur le modèle de la commedia dell’arte, régulièrement présente dans les théâtres vénitiens et ailleurs. Toujours est-il que l’idée prit: cinq opéras nouveaux virent le jour au cours des trois saisons suivantes, et trois autres théâtres d’opéra avaient ouvert dans la ville dès 1641. À la fin de la saison 1646-1647, trente-trois œuvres nouvelles et six reprises y avaient été montées. Le nouvel opéra public fut manifestement un succès commercial. Venise avait un marché tout prêt, avec non seulement ses citoyens, mais aussi les touristes qui faisaient (et font encore) le voyage pour admirer les merveilles architecturales et artistiques de la ville—ainsi que ses plaisirs sensuels. Lorsque le voyageur anglais Thomas Coryate visita Venise en 1608, il attira particulièrement l’attention sur la musique qu’on pouvait entendre dans les églises ou les rues, et grâce aux doigts et aux gosiers gazouillants de séduisantes courtisanes. Le fait que la saison d’opéra se déroulait essentiellement pendant le carnaval (officiellement, du lendemain de Noël au commencement du Carême) tendait à accentuer les plaisirs lascifs tirés de son sujet, mais aussi de ses interprètes. L’industrie de l’opéra qui en résulta à Venise reposait sur de complexes interactions entre les propriétaires de théâtres, les impresarios et les entrepreneurs indépendants: poètes, compositeurs, chanteurs, instrumentistes, maîtres de ballet, décorateurs, fabricants de costumes—et ainsi de suite. Sans doute y avait-il de l’argent à gagner dans cette entreprise, même si le succès dépendait d’un pari qui pouvait être gagné ou perdu. On ne sait pas si Monteverdi y voyait un éventuel profit. Mais en tant que plus éminent musicien dans la Venise de l’époque, il fut manifestement sollicité pour servir la cause. Monteverdi procéda prudemment, restant en coulisses pendant les trois premières saisons d’opéra public à Venise. Pour le carnaval de 1640-1641, il mit aussi deux théâtres en concurrence, reprenant son Arianna au Teatro San Moisè et produisant un nouvel opéra, Il ritorno d’Ulisse in patria, probablement au Teatro Santi Giovanni e Paolo. Il est difficile d’imaginer ce que le public vénitien a pu penser d’Arianna, qui avait alors plus de trente ans (on ne sait pas si Monteverdi en révisa la musique, mais le texte n’avait pas beaucoup changé). Quant à Il ritorno d’Ulisse in patria, l’impulsion semble être venue de son librettiste, le noble Vénitien Giacomo Badoaro, qui affirmait dans une lettre ouverte au compositeur qu’il voulait le tenter de sortir de sa retraite pour que le public vénitien puisse comprendre comment les émotions véritables pouvaient être représentées sur la scène musicale, loin des fades imitations d’autres compositeurs contemporains. Monteverdi releva le défi, et avec un succès significatif, semble-t-il: Il ritorno d’Ulisse in patria fut donné au moins dix fois au cours de la première saison, puis emmené en tournée à Bologne par Ferrari et Manelli, et ensuite repris à Venise l’année suivante. Pour la saison 1641-1642, Monteverdi composa aussi Le nozze d’Enea con Lavinia (dont la musique est perdue), et pour 1642-1643 une œuvre tout à fait étonnante, L’incoronazione di Poppea. Comme souvent pour l’opéra vénitien, les sources qui subsistent pour Il ritorno d’Ulisse in patria sont quelque peu problématiques. Certains livrets divisent l’opéra en cinq actes au lieu de trois, et il subsiste une version avec un prologue différent (pour lequel nous n’avons pas de musique). L’unique partition que nous ayons fut probablement copiée dans les années 1650, avant de parvenir à Vienne (où elle est désormais conservée) quelques décennies plus tard. Il manque une partie de la musique (par exemple un ballo à l’acte 2, au moment où les prétendants courtisent Pénélope), qui peut être empruntée de manière plausible à d’autres sources. Il ritorno d’Ulisse in patria est fondé sur l’Odyssée d’Homère (XIII-XXIII), Le nozze d’Enea con Lavinia sur l’Énéide de Virgile et L’incoronazione di Poppea essentiellement sur l’historien romain Tacite. Ces sources se distinguent quelque peu de celles des autres opéras vénitiens de l’époque en ce qu’elles puisent au mythe classique, à l’épopée de la Renaissance (L’Arioste et Le Tasse) ou à la pastorale. Mais si le mythe, l’épopée et la pastorale sont toujours ouverts à l’interprétation symbolique et allégorique—c’est leur propos—, Monteverdi et ses librettistes paraissent leur donner des résonances plus proches de chez eux. La question semble s’articuler autour du rôle de l’Accademia degli Incogniti vénitienne, groupe libertin de nobles vénitiens qui étaient aussi d’ardents républicains dans leur orientation politique (comme l’était Venise elle-même). Ainsi qu’on le voit dans d’autres opéras de l’époque émanant des Incogniti, la représentation sur scène de bons Grecs, de bons ou mauvais Troyens (selon le point de vue), et de mauvais Romains avait manifestement de fortes connotations politiques, étant donné notamment la relation profondément problématique de Venise elle-même avec Rome et la papauté. Dans le cas d’Il ritorno d’Ulisse in patria, la descente de la «cour» de Pénélope dans les dépravations de prétendants importuns et de leurs parasites porte un message fort: notre héros, Ulysse, n’a besoin que d’une intervention divine minime pour rétablir l’ordre dans un monde politique si corrompu. Par définition ou presque, et à pratiquement toute époque, l’opéra est en général moralement suspect—non seulement à cause de son sujet, mais aussi en raison de son emploi de musique. Les partisans du genre affirment que la musique explore des situations dramatiques et des profondeurs émotionnelles et psychologiques auxquelles la simple parole n’a pas accès. Ses détracteurs—s’ils ne rejettent pas simplement l’opéra en raison de son absence de vraisemblance—soutiennent que cette défense est inepte: l’opéra est frivole et repose uniquement sur de vaines démonstrations de virtuosité vocale. L’opéra de cour à ses débuts avait établi des principes selon lesquels les personnages chantaient leur rôle dans un style déclamatoire (qu’on appelle maintenant récitatif), plus sensible aux exigences du texte qu’à la musique en soi. Ce style déclamatoire pouvait ensuite se transformer en moments plus lyriques et plus chantants à des endroits spécifiques de l’action, lorsqu’un chant véritable pouvait se justifier sur scène (comme au moment où Orphée chante pour les puissances d’Hadès), ou lorsqu’on pouvait en insérer un par convention (par exemple un chœur de fin d’acte). La distinction était claire sur le plan musical, mais aussi poétique: les textes des «chants»—on pourrait commencer à les appeler «airs»—étaient en strophes régulières du point de vue du mètre et de la rime. L’opéra public imposa un changement dans les priorités—qui a envie de payer pour entendre un opéra contenant uniquement de la parole chantée?—et fit donc émerger le dilemme fondamental de l’opéra: pourquoi devrait-on y chanter? Bien sûr, le chant n’est pas inapproprié pour certains types de personnages—dieux, bergers, servantes—ou situations (séduction, incantation, scènes de sommeil, et ainsi de suite), et tout livret d’opéra sensé introduisait de tels prétextes pour le chant à chaque occasion qui s’offrait. La formule est claire dans Il ritorno d’Ulisse in patria, notamment dans le traitement du berger Eumée, des amants de classe inférieure Mélantho et Eurymaque, et des divinités, avec en particulier une écriture extrêmement virtuose pour Minerve et Junon. Conformément à son statut, Ulysse tend à adopter un langage musical plus retenu—même lors de ses joyeuses retrouvailles avec son fils Télémaque—, bien qu’il ne soit pas opposé au chant quand le moment semble opportun. Quant aux prétendants et au parasite Irus, leur penchant pour le chant, plutôt que pour la parole chantée, tend à les identifier comme des personnages peu nobles sur le plan du caractère et des actions. Pénélope est manifestement problématique, toutefois. D’un côté, le public vénitien aimait les cantatrices et leurs voix séductrices. De l’autre, un noble personnage féminin qui «chante» trop volontiers, et trop mélodieusement, entre forcément en terrain dangereux: peut-on se fier à sa vertu, ou est-elle fragile? On rencontre Pénélope pour la première fois tout au début de l’acte I, où elle déplore l’absence d’Ulysse de manière typique d’une femme qui se lamente, avec de francs échos du Lamento d’Arianna, seule musique à subsister de l’opéra de Monteverdi de 1608 (repris, nous l’avons vu, à Venise). Si sa plainte en récitatif est éloquente, musicalement, elle a peu de chose à y dire. À mesure que l’opéra progresse, les servantes de Pénélope, puis ses prétendants, l’assiègent de chant, l’entourant des airs séducteurs de mesure ternaire qui se répandaient dans l’opéra vénitien. Elle résiste chaque fois farouchement; son langage musical devient même de plus en plus aride à mesure qu’elle sombre dans la paralysie émotionnelle. Ce n’est que vers la fin de l’acte III, lorsqu’elle commence à croire que l’étranger devant elle est effectivement son mari depuis longtemps perdu, qu’elle se met à retrouver sa voix et à lui permettre de s’épanouir dans un superbe moment de libération d’autant plus puissant que Pénélope a précisément si peu «chanté» jusque-là. Elle peut aimer—et donc chanter—de nouveau, et rares sont ceux qui la condamneront pour cela. Claudio Monteverdi empfand vielleicht eine gewisse Resonanzerfahrung mit diesem Eröffnungsvers des Prologs zu Il ritorno d’Ulisse in patria (1640), dort vorgetragen von der allegorischen Figur der menschlichen Gebrechlichkeit (L’humana fragilità). Mit 73 Jahren unternahm er den bemerkenswerten Schritt zurück auf die Opernbühne. Sein langes Schaffen des Komponierens für die Bühne hatte einst begonnen, als er noch als Musiker am Hof des Herzogs Vincenzo Gonzaga in Mantua angestellt war. Dort war er an allen großen Bühnengattungen der Spätrenaissance beteiligt, darunter Stücke mit eingebauten intermedi, gesungenen und getanzten balli und einer neuen Florentiner Erfindung: der favola in musica—heute nennen wir es Oper. Für letztere ist sein L’Orfeo von 1607, ein rundum bemerkenswertes Werk, das früheste Beispiel der Gattung, das einen Platz im Repertoire fand. Ihm ließ er 1608 seine Arianna folgen, welche seinerzeit großes Aufsehen erregte, deren Musik jedoch verloren ging—mit Ausnahme des berühmten Lamento der Arianna. Monteverdis Umzug nach Venedig zwang ihn 1613 notwendigerweise, in seiner Rolle als Kapellmeister des Markusdoms sein Augenmerk verstärkt auf Kirchenmusik und bürgerliche Festmusiken zu richten. Er schrieb aber weiterhin auch weltliche Werke, sogar für die Bühne, und zwar als Reaktion auf Aufträge aus Mantua und von anderen norditalienischen Höfen (u. a. Parma) sowie aus unmittelbarer Nähe von venezianischen Adligen; und in den 1630er Jahren knüpfte er Verbindungen mit den Habsburgern in Wien. Niemand hätte jedoch damit gerechnet, dass er so spät in seiner Karriere noch einmal zum Schreiben abendfüllender Opern zurückfindet. Warum er es tat und wie es ihm dabei gelang, sich neuen und rasch wandelnden Musikstilen anzupassen, sind Fragen, die einiger Erörterung bedürfen. Im ersten Drittel des siebzehnten Jahrhunderts blickt die Oper nur auf eine vereinzelte Entwicklungsgeschichte an den norditalienischen Höfen und in Rom zurück. Opern waren im Grunde Gelegenheitswerke für einzelne Aufführungen oder besondere Festivitäten. Sie waren auch nicht immer sonderlich populär, da das Hofpublikum keinen großen Wert darauf legte, für lange Strecken untätig sitzen zu bleiben und zuzuschauen, wie sich ein Musikdrama auf der Bühne entfaltet. Es entstand nur eine geringe Anzahl an Opern—und die Anzahl der Wiederaufnahmen war noch geringer—; man kann also kaum von einer ungebrochenen Tradition sprechen. 1637 öffnete das Teatro San Cassiano dem zahlenden Publikum in Venedig seine Türen. Diese Initiative scheint auf zwei dichtende Musiker zurückzugehen, Benedetto Ferrari and Francesco Manelli, die eine Truppe nach dem Vorbild der Darsteller in der Commedia dell’arte bildeten, welche zum regelmäßigen Inventar der Theater in Venedig und andernorts gehörte. Aus irgendeinem Grund zündete die Idee: Fünf neue Opern erschienen in den folgenden drei Spielzeiten, und bis 1641 wurden drei weitere Opernhäuser in der Stadt in Betrieb genommen. Bis zum Ende der Spielzeit 1646/47 kamen 33 neue Werke und sechs Wiederaufnahmen auf die dortigen Bühnen. Die neue öffentliche Oper war ganz klar ein kommerzieller Erfolg. Venedig war ein gemachtes Feld, nicht nur durch das Publikum seiner eigenen Bürger, sondern auch durch die Touristen, die damals wie heute die Stadt aufsuchten, um ihre künstlerischen und architektonische Freuden zu genießen—sowie ihre sinnlichen. Als der Engländer Thomas Coryate 1608 Venedig besuchte, lenkte er seine Aufmerksamkeit vor allem auf die Musik, die man dort in den Kirchen und Straßen sowie aus feinfühligen Händen und trillernden Kehlen verführerischer Freudenmädchen hören konnte. Da sich eine Opernspielzeit praktisch mit der Karnevalszeit deckte (offiziell vom Tag nach Weihnachten bis zum Beginn der Fastenzeit), neigte man dazu, die lustbetonten Freuden zu betonen, welche man auf ihre Thematik und auch ihre Darsteller zurückführte. Das so entstandene Operngewerbe in Venedig beruhte auf einem komplexen Wechselspiel zwischen Theaterbesitzern, Impresarios sowie „selbstständigen“ Dichtern, Komponisten, Sängern, Instrumentalisten, Tanzmeistern, Bühnen- und Kostümbildnern und so weiter und so fort. Man konnte wohl hoffen, Geld in diesem Unternehmen zu machen, auch wenn der Erfolg auf einem Glücksspiel beruhte, das man gewinnen oder verlieren konnte. Man weiß nicht, ob Monteverdi glaubte, aus diesem Vorhaben Profit schlagen zu können. Aber als angesehenster Musiker Venedigs zu der Zeit konnte er sich der Sache nicht entziehen. Monteverdi ging vorsichtig vor, wartete in den ersten drei Spielzeiten der öffentlichen Oper in Venedig noch auf seine Chance. Für die Karnevalszeit 1640-41 spielte er sogar zwei Theater gegeneinander aus, indem er am Teatro San Moisè seine Arianna wiederaufnahm und eine neue Oper, Il ritorno d’Ulisse in patria, wahrscheinlich am Teatro Santi Giovanni e Paolo aufführte. Man kann sich nur schwer vorstellen, wie Arianna, nun mehr als dreißig Jahre alt, auf das venezianische Publikum wirkte. (Es ist nicht bekannt, ob Monteverdi die Musik irgendwie überarbeitet hat; der Text hat sich jedenfalls kaum geändert.) Was Il ritorno d’Ulisse in patria betrifft, so scheint der Anstoß von seinem Librettisten, dem venezianischen Adligen Giacomo Badoaro, gekommen zu sein, welcher in einem offenen Brief an den Komponisten gestand, dass er diesen aus dem Ruhestand locken wollte, damit Venedigs Publikum verstünde, wie wahre Gefühle musikalisch auf der Bühne dargestellt werden—im Gegensatz zu den blassen Nachahmereien seitens zeitgenössischer Komponisten. Monteverdi stellte sich der Herausforderung—wohl mit bedeutendem Erfolg: Il ritorno d’Ulisse in patria wurde in seiner ersten Spielzeit mindestens zehnmal aufgeführt, anschließend unter Ferrari und Manelli zum Gastspiel nach Bologna gebracht und im Folgejahr in Venedig wiederaufgenommen. Für die Spielzeit 1641/42 schrieb Monteverdi auch Le nozze d’Enea con Lavinia (deren Musik nicht erhalten ist) und für 1642/43 die ganz und gar erstaunliche L’incoronazione di Poppea. Wie es für venezianische Oper typisch ist, stellen uns die überlieferten Quellen von Il ritorno d’Ulisse in patria vor gewisse Probleme. Manche Libretti unterteilen die Oper statt in drei in fünf Akte, und es ist eine Fassung mit abweichendem Prolog erhalten, zu dem keine Musik überliefert ist. Der einzige erhaltene Notentext ist eine Partiturabschrift, wohl aus den 1650er Jahren, die es einige Jahrzehnte später irgendwie nach Wien schaffte (wo sie bis jetzt überlebt hat). An manchen Stellen fehlt die Musik (zum Beispiel ein ballo im zweiten Akt, als die Freier Penelope umwerben); es ist durchaus vorstellbar, dass sie hier aus anderen Quellen entlehnt wurde. Il ritorno d’Ulisse in patria basiert auf Homers Odyssee (13. bis 23. Gesang), Le nozze d’Enea con Lavinia auf Vergils Aeneis, and L’incoronazione di Poppea weitestgehend auf der römischen Geschichtsschreibung von Tacitus. Diese Quellen stehen etwas im Abseits anderer venezianischer Opern jener Zeit, die sich eher bei klassischen Mythen, Renaissance-Epen (Ariost oder Tasso) oder Hirtendichtung bedienen. Weil jedoch Mythos, Epos und Pastorales immer für symbolische und allegorische Deutung offen sind—genau darum geht es ihnen ja—, scheinen Monteverdi und seine Librettisten in der eigenen Spielhälfte bleiben zu wollen. Das hängt wohl auch mit der Einflussnahme von Venedigs Accademia degli Incogniti zusammen, einer freigeistigen Gruppe venezianischer Adliger, die in ihrer politischen Ausrichtung für das Republikanische brannten (wie ja auch Venedig selbst). Wie wir es ebenfalls in anderen der von den Incogniti beeinflussten Opern jener Zeit sehen, klang in der Darstellung guter Griechen, (je nach persönlichem Standpunkt) guter oder böser Troer und böser Römer auf der Bühne klar Politisches an, nicht zuletzt aufgrund der zutiefst problematischen Beziehungen zwischen dem modernen Venedig und Rom mit seinem Papsttum. Im Fall von Il ritorno d’Ulisse in patria ist die Botschaft vom verderblichen Niedergang von Penelopes „Hof“ mit seinen unliebsamen Verehrern und deren Nutznießern klar: Unserem Helden Odysseus reicht ein Mindestmaß göttlicher Einmischung, um die Ordnung in dieser so verdorbenen politischen Welt wiederherzustellen. Oper schien nahezu per definitionem und fast zu jeder Zeit moralisch fragwürdig, nicht nur wegen ihrer Themen, sondern auch wegen ihres Musikgebrauchs. Fürsprecher der Gattung behaupten, Musik könne dramatische Momente sowie emotionale und psychologische Tiefen ausloten, die der bloßen Sprache unzugänglich bleiben. Ihre Gegner—wenn sie die Oper nicht bereits aufgrund ihrer fehlenden Wirklichkeitsnähe abtun—behaupten, diese Begründung sei reiner Blödsinn: Oper sei albern und basiere einzig und allein auf dem nichtssagenden Zurschaustellen stimmlicher Virtuosität. Die frühe Hofoper hatte Grundregeln formuliert, nach denen die Rollen ihre Verse in einem deklamatorischen Stil vortragen (heute nennen wir dies Rezitativ), der eher den Anforderungen des Textes als der Musik an sich folgt. Dieser deklamatorische Stil konnte sodann an bestimmten Momenten der Handlung ins Lyrische, Liedhafte wechseln, wenn entweder ein echtes Lied auf der Bühne gerechtfertigt schien (wie Orpheus’ Gesang vor den Mächten der Unterwelt) oder etwas Vergleichbares kraft Tradition eingefügt werden konnte (beispielsweise ein Schlusschor am Aktende). In musikalischem und dichterischem Sinn war der Unterschied klar: Der Text von „Gesängen“—langsam können wir sie „Arien“ nennen—hätte regelmäßigen Strophenbau, Metrik und Reim. Die öffentliche Oper erzwang einen Prioritätenwechsel—wer will schon viel Geld für eine Oper ausgeben, in der man nur gesungene Sprache hört?—und brachte so das grundlegende Dilemma der Oper ans Tageslicht: Warum sollte überhaupt irgendjemand singen? Bei bestimmten Figuren—Göttern, Hirten, Dienstmägden—ist liedartiger Gesang natürlich nicht unangebracht, ebenso zu bestimmten Situationen (Verführungs-, Verzauberungs- oder Schlafszenen etc. ), und jedes gescheite Opernlibretto würde solche Ausreden zum Gesang bei jeder sich bietenden Gelegenheit einbauen. In Il ritorno d’Ulisse in patria wird dieses Muster deutlich, nicht zuletzt beim Umgang mit dem Hirten Eumaios (Eumete), dem „kleinbürgerlichen“ Liebespärchen Melantho (Melanto) und Eurymachos (Eurimaco) sowie den Gottheiten, einschließlich der hochvirtuosen Stellen für Minerva und Juno (Giunone). Passend zu seinem Stand neigt Odysseus eher zu einer verhalteneren Tonsprache—sogar beim freudigen Wiedersehen mit seinem Sohn Telemach (Telemaco)—, wenn er auch dem Singen gegenüber nicht abgeneigt ist, sobald der rechte Moment gekommen scheint. Was die Freier und den Schmarotzer Iro betrifft, so tendiert ihr Faible für Gesang (im Gegensatz zu gesungener Sprache) dazu, sie in bezug auf Wesenszüge und Handeln als weniger edel auszuzeichnen. Penelope hingegen ist eindeutig ein Problemfall. Einerseits schätzte Venedigs Publikum Sängerinnen mit ihren verführerischen Stimmen. Andererseits wird eine edle weibliche Figur, die zu bereitwillig und klangvoll „singt“, notwendigerweise gefährliches Terrain betreten: Können wir darauf vertrauen, dass dies ehrlichen Können entspringt? Oder fällt es ihr zu leicht? Zuerst begegnet uns Penelope gleich zu Beginn des ersten Akts, als sie Odysseus’ Fernbleiben ganz nach Art einer klagenden Frau betrauert, worin deutlich das Lamento d’Arianna nachklingt, das einzige Stück Musik, das aus der Oper von 1608 erhalten blieb (und wie gesagt in Venedig überarbeitet wurde). Ist ihr Klagerezitativ auch musikalisch beredt, so hat sie doch wenig, worüber sie singen kann. Im Verlauf der Oper belagern Penelope tatsächlich zuerst ihre Diener, dann ihre Verehrer mit Gesang und umschmeicheln sie mit verlockenden Arien im Dreiertakt, wie sie in der venezianischen Oper vorherrschten. Sie widersetzt sich jedes Mal schroff. Ihre Musiksprache wird in der Tat immerdürrer, je weiter sie in Gefühlsstarre verfällt. Erst gegen Ende des dritten Akts, als sie allmählich glaubt, der Fremde vor ihr sei wirklich ihr lange verlorener Gatte, erlangt sie so langsam ihre Stimme wieder und lässt sie in einem wunderbaren Moment der Befreiung aufblühen, was umso stärker wirkt, gerade weil Penelope bis hierher so wenig „gesungen“ hat. Sie kann wieder lieben—und daher singen. Wer kann es ihr verdenken? This recording of Il ritorno d’Ulisse was made in Wrocław in September 2017 at the culmination of a seven-month exploration of Monteverdi’s three surviving operas. To mark the 450th anniversary of his birth we assembled a tight-knit band of singers and players for 33 performances in eight European countries, ending our cycle in Chicago and New York. No doubt Monteverdi would have been dumbfounded if he had been told that such would be the lasting fame of his operas 374 years after his death they would reach an estimated 70,000 listeners (and that is before counting any of the other celebratory performances given in different parts of the world in 2017!). But whereas only 50 years ago his music lay on the margins of audiences’ awareness, today staged versions of his operas are relatively frequent, though only L’incoronazione di Poppea has so far broken into the canon of mainstream operas. Ironically we can’t even be sure that in these three survivors we have the best of what he actually composed, so many works having been lost over the centuries. From what people said at the time the most grievous losses were his Arianna (1608) and Le nozze d’Enea con Lavinia (1641). Yet the ones which have survived are all dramatically gripping, humanly truthful and of dazzling musical beauty. What was it then that persuaded Monteverdi to come out of operatic retirement in his 74th year and, in a last great burst of creativity, to make such seminal contributions to the new genre? After all, he had recently taken holy orders, and as the busy maestro di cappella of St Mark’s Basilica there was not a lot of spare time to take on commercial ventures as well. Was it the opportunity to preach his aesthetic creed to a wider, paying audience that he could not resist? Monteverdi believed that music achieves maximum impact when delivered on the stage, and that when defined by time and space it is best equipped to 'move the human passions', as he himself put it. This is where Giacomo Badoaro enters the story. The librettist of Ulisse was a leading member of the Venetian Accademia degli Incogniti who were said to be less than impressed by the quality of the operas produced since the theatres first opened in 1637. Badoaro took it upon himself to write a flattering letter to Monteverdi 'to incite your Lordship’s virtues to make known to the people of Venice that where strong emotions are concerned, there is a vast difference between a painted image of the sun and the sun itself'. Was that enough to tempt him, or was it the Homeric story of Ulysses’ homecoming to Ithaca, with its timeless themes of fidelity, remorse and passion, that attracted him? Il ritorno d’Ulisse had been at the top of my wish list of works to conduct since I was 21. It epitomised for me all that was most exotic and alluring about Italian music of the early seventeenth century. 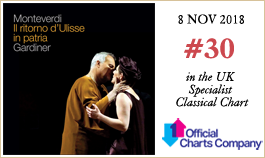 Performing Ulisse for the first time in 2017 confirmed to me its stature as the worthy equal of the more celebrated L’Orfeo and Poppea, but I believe that all of us involved in the full Monteverdi trilogy found it to be the most compelling and moving of the three. At its première in 1640 Ulisse was a rousing success: it received at least ten performances in Venice to packed houses before being taken on tour to Bologna and then revived in Venice the following year. The key to its success both then and now lies in the fluidity of Monteverdi’s musical discourse, his skill in adjusting to the rapidly changing moods and inflections of Badoaro’s libretto and gliding almost imperceptibly from declamation to more lyrical song-like passages. At the same time he generates bold contrasts and a dynamic interaction between the characters—gods, heroes, as well as lowlife characters (some virtuous, others seedy). Within an overarching musical structure he creates gut-wrenching suspense—how long can the inconsolable Penelope hold out against the three suitors and the whispered arguments of her maid Melanto? Monteverdi makes us see that the carapace of denial that Penelope has formed in self-protection prevents her from accepting that the only person able to string Ulysses’ bow and to dispatch the suitors is the man standing right in front of her—her own returning husband. No autograph manuscript score of Ulisse survives. A single copy made a decade after the composer’s death was discovered in 1881 in Vienna and has been available in facsimile only since 2006. This score, which has missing instrumental lines and a few musical blanks, also departs in a number of significant respects from the nine extant manuscript librettos only one of which appears to have been prepared with direct reference to the score. From this we can trace the places where Monteverdi chose to cut and rearrange Badoaro’s text to make it more dramatically coherent. Baodaro later tactfully admitted that 'having seen the opera performed ten times, I can positively affirm that my Ulysses is more obligated to your Lordship than the real Ulysses was to the ever-charming Minerva'. With no ‘final’ or ‘authentic’ version of Ulisse to rely on, the first priority for any performer is to reconcile these surviving sources and to correct the obvious discrepancies and copyist’s errors (I am grateful to James Halliday and Paolo Zanzu for their help in this regard). Monteverdi’s last two operas did not simply crystallise into unchanging ‘works’ with a fixed text, but as living organisms they were constantly subject to layers of additions, cuts, transpositions, and revisions. Each attempt to revive them in our day will perforce come up with a different solution. When it came to plugging those gaps where no music survives in the Vienna score it seemed preferable to draw on Monteverdi’s own music, albeit from an earlier period, rather than to scan for other contemporary music by his pupils or peers. For despite the marked differences of form and idiom and the 33 years that separate Ulisse from his first opera L’Orfeo, there are clear fingerprints of Monteverdi’s consistent approach to word-setting in both works—evidence of his commitment to the ideals of what he called ‘imitation’ and ‘representation’. So for the chorus of Naiads in Act 1 scene VI, as they rescue Ulysses’ belongings and treasures from the shore, we found a neat fit with his three-part balletto ‘De la bellezza le dovute lodi’ from his Scherzi musicali (1607). For the ballo greco in Act 2 scene VI where the suitors intensify their wooing of Penelope we have gone back to three sections of Monteverdi’s choral ballet Tirsi e Clori of 1615 (probably his first semi-theatrical work to be composed in Venice and published four years later in his Seventh Book of Madrigals). Finally, we found room for brief, anguished entrate from his Ballo delle ingrate (1608, but published only two years before the Ulisse première) for the dumbshow of the suitors’ failed attempts to string Ulysses’ bow in Act 2 scene XII, and a capricious fragment to announce Ericlea’s entry in Act 3 scene VIII. Decisions regarding all the remaining editorial and performance practice issues flowed from the initial premise—to perform the trilogy, not in proscenium theatres equipped with lavish stage machinery, decor and props, but in concert halls (the exception being the Teatro La Fenice in Venice where we performed two complete cycles on a thrust forestage). Our target was to reach beyond the demographic of opera-going aficionados and to connect with a wider and younger audience for Monteverdi. By presenting his trilogy in vivid but pared-down stagings we aimed to communicate the radical and explosive force of these great music dramas, the emotional depths they plumb, and their strikingly modern feel, without losing the intrinsic intimacy of form and dialectic. We know (this time from another of his librettists, Michelangelo Torcigliani) that Monteverdi was always on the look out for libretti with shifting moods—'because they offer him the opportunity of showing the marvels of his art with a full range of pathos, adapting his notes to the words and the passions in such a way that the singer laughs, cries, becomes enraged, compassionate, and does everything else they ask of him; meanwhile the listener is drawn by the same impetus into experiencing the variety and force of those same passions'. A large portion of our rehearsals was devoted to exploring Monteverdi’s brilliant fusion of music and words and to making sure that both singers and instrumentalists fully engaged with the text. Following the precepts of his contemporary Marco da Gagliano, himself a composer of operas, we were seeking 'to chisel out the syllables so as to make the words well understood' through a delivery not simply accurate in linguistic pronunciation and inflection, but given with a sensual relish. Our language coach, Matteo Dalle Fratte, went to great lengths to point out to the cast the mesmerising beauty of sung Italian when consonants are projected percussively and expressively in counterpoint to the smooth legato flow of the vowels. This applies not just to double consonants but to comma punctuation, agogic accents, word repetitions and exclamations. Only once the technique has been fully mastered by the singer-actors (as opposed to the dreaded ‘singerese’—the disease of so many opera singers), can this produce a frisson in the way words will be received by the listener; but it also enhances the expressive vocabulary of Monteverdi’s word-setting and his cunning way of imitating the accents of speech. The slight anticipation of the incoming consonant and a minuscule delay before the vowel mirrors the thought processes of the narration. To me this is analogous to the ways Monteverdi uses both rhythm and counterpoint. In his operas Monteverdi habitually uses an alternation of duple and triple metre against an implied tactus (a regular unvarying beat). That is where the rhythmic frisson originates. Added to this is the harmonic tension he sets up between his vocal lines and the supporting basso continuo. The latter normally proceeds with a regular harmonic rhythm or pulse, but burgeons into expressive dissonances at key moments when he contrives that these two complementary lines should collide and clash. Imagine my delight, then, when I discovered that the late stage director Sir Peter Hall pointed to something strikingly similar in the technique used by Shakespeare in his great tragedies and late plays which were written at exactly the same time as Monteverdi was setting out as a composer of operas. Hall refers to 'a freedom in verse which is perfectly miraculous. [In The Winter’s Tale] Leontes’ twisted passion and paranoia is accurately expressed by his clotted, irregular rhythms and mis-accents. But these irregularities only make emotional sense and can only affect an audience if the actor knows the underlying regularity beneath them. He must revel in the cross-rhythms, ride the irregularities and use the bumps in the smoothness for emotional purposes.' So far so uncannily parallel. Hall compared playing the mature verse of Shakespeare to the challenges facing a great jazz player—though this applies equally well, I feel, to a singer or continuo player interpreting Monteverdi’s opera scores: 'the beat must be kept, the rhythm always sensed. But it is the tension between that regularity and the irregularity of the speech [or in Monteverdi’s case, the vocal line set against the basso continuo] which expresses the emotional turmoil. The nearer the verse gets to collapsing, the more tortured and emotional the expression. But it must never collapse, any more than the jazz musician can ever miss the beat or be ‘out’. The actor must risk rhythmical disintegration, but never surrender to it. What the audience receives is therefore unexpected, dangerous, and always unpredictable' [Exposed by the Mask]. John Berger expresses something similar: 'The way singers play with or defy the linearity of time has something in common with what acrobats and jugglers do with the force of gravity … The tempo, the beat, the loops, the repetitions of a song construct a shelter from the flow of linear time: a shelter in which future, present and past can console, provoke, ironise and inspire one another' [Confabulations]. In Ulisse we can hear how Monteverdi’s skilful transitions from conversational ‘sung speech’ (recitative) to pure song (aria) and a combination of the two (arioso) serve to intensify the expression of the characters’ temperament and states of mind. In practice each performer needs to be constantly aware of the direction of the discourse—of Monteverdi’s crucial distinction between narration (diegesis) and representation (mimesis)—and how this impacts on the forward motion of the action as well as the emotional content and ‘tone’ of each monologue or exchange. This distinction was something new in the evolution of music-theatre at the time, and it developed in parallel with the techniques Shakespeare was then exploring in his late plays. When Hamlet says in Act 2 scene II 'Now I am alone. Oh, what a rogue and peasant slave am I! '—quite obviously he is not alone, but in fact addressing a noisy audience at The Globe theatre. The critical thing is how to create the illusion of intimacy: how to reveal raw and highly personal emotion with overwhelming intensity, but without anyone having to force their voices. This juxtaposition of two opposed worlds is strikingly similar to those one finds in Shakespeare’s As You Like It, where the forest stands for freedom, natural goodness and life in harmony with Nature, while the court, peopled by sycophants and pretenders, symbolises all that is tainted and treacherous. Might we therefore consider Monteverdi’s Ulisse to be a kind of Shakespearean anti-comedy? After all, it culminates in a return to the marriage bed following a tale of unravelling and mistaken identity before the natural order is finally restored. No other plot of the period has this kind of trajectory apart from Shakespearean tragicomedy. But the parallels with the Bard extend well beyond this. In his portrayal of Ulysses, and still more of Penelope, Monteverdi shows his deep concern, as Shakespeare does in Hamlet and King Lear, for an interior world—both playwright and composer exploring complex thoughts and feelings that extend beyond words and actions. Il ritorno d’Ulisse, Monteverdi’s antepenultimate opera, marks another step in a life spent transforming music—from an act of skilled artifice reflecting the harmony of the spheres into a dramatised form of expression rooted in human truths and emotions. This amounted to a fundamental switch—from a musical language that spoke primarily in metaphysical affirmatives to one capable of mirroring a world full of squalor, depravity but also of redemptive love. It happens to coincide exactly with one of those turbulent periods in the history of painting, when artists such as Velázquez, Rembrandt, or Artemesia Gentileschi, all at the height of their powers, were unleashing their energy and taking equivalent liberties with hallowed conventions. Is there any other opera that culminates in a duet in which the two protagonists sing together for the very first time? They have not spoken in twenty years. He returns after being reported missing. She has remained steadfast and unbending, breaking into song only when she has irrefutable proof that he is her man. But they now share the language of love with touching, life-affirming unanimity. Cet enregistrement d’Il ritorno d’Ulisse a été réalisé à Wrocław en septembre 2017, à l’apogée de sept mois d’exploration des trois opéras de Monteverdi qui ont survécu. Pour marquer le 450e anniversaire de sa naissance, nous avons réuni un ensemble très soudé de chanteurs et d’instrumentistes et donné 33 représentations dans huit pays européens, avant de terminer notre cycle à Chicago et à New York. Monteverdi aurait certainement été abasourdi d’apprendre que la renommée dont jouissent encore ses opéras 374 ans après sa mort serait telle qu’ils toucheraient 70 000 auditeurs, selon les estimations (et cela avant de compter aucune des autres représentations commémoratives données dans différentes régions du monde en 2017!). Mais alors qu’il y a cinquante ans seulement le public connaissait à peine sa musique, aujourd’hui les versions scéniques de ses opéras sont relativement fréquentes, bien que seul L’incoronazione di Poppea se soit jusqu’à présent imposé au répertoire des opéras canoniques. Paradoxalement, on ne peut même pas être sûr qu’avec ces trois survivants nous ayons ce qu’il composa de meilleur, tant d’œuvres s’étant perdues au fil des siècles. D’après ce que l’on disait à l’époque, les pertes les plus douloureuses seraient son Arianna (1608) et Le nozze d’Enea con Lavinia (1641). Pourtant, celles qui ont survécu sont toutes dramatiquement captivantes, humainement véridiques et d’une beauté musicale éblouissante. Qu’est-ce qui persuada donc Monteverdi de sortir de sa retraite de compositeur d’opéras dans sa soixante-quatorzième année pour faire des contributions aussi décisives au genre nouveau, dans une dernière grande explosion créatrice? Après tout, il venait de recevoir les saints ordres, et, très occupé comme maestro di cappella de la basilique Saint-Marc, il n’avait que peu de temps libre pour se lancer aussi dans des entreprises commerciales. Ne pouvait-il laisser passer l’occasion de prêcher son crédo esthétique à un public payant et plus large? Monteverdi croyait que la musique produit son plus grand effet quand elle est représentée sur scène, et que, lorsqu’elle est définie dans le temps et l’espace, elle est le plus à même de «mouvoir les passions humaines», comme il disait lui-même. C’est ici que Giacomo Badoaro entre en scène. Le librettiste d’Ulisse était un membre important de l’Accademia degli Incogniti vénitienne, dont on disait qu’elle n’était guère impressionnée par la qualité des opéras qu’on donnait depuis que les premiers théâtres avaient ouvert leurs portes en 1637. Badoaro prit sur lui d’adresser une lettre flatteuse à Monteverdi, «pour inciter les vertus de Votre Seigneurie à faire savoir au peuple de Venise que, s’agissant des émotions fortes, il y a une grande différence entre une image peinte du soleil et le soleil lui-même». Fut-ce assez pour le tenter, ou est-ce l’histoire homérique du retour d’Ulysse à Ithaque, avec ses thème intemporels de la fidélité, du remords et de la passion, qui l’attira? Il ritorno d’Ulisse était en tête de la liste d’œuvres que je souhaitais diriger depuis l’âge de vingt et un ans. L’œuvre incarnait pour moi tout ce qu’il y avait de plus exotique et séduisant dans la musique italienne du début du XVIIe siècle. Le fait de diriger Ulisse pour la première fois en 2017 a confirmé pour moi sa stature et en faisait le digne pendant des deux opéras plus célèbres, Orfeo et Poppea; mais je crois que nous tous qui avons été mêlés à la trilogie complète de Monteverdi l’avons trouvé le plus convaincant et le plus émouvant des trois. Lors de sa création en 1640, Ulisse fut un succès retentissant: il fut donné au moins dix fois à Venise devant des salles combles avant d’être emmené en tournée à Bologne, puis repris à Venise l’année suivante. La clef de son succès aussi bien hier qu’aujourd’hui tient à la fluidité du discours musical de Monteverdi, à son habileté à s’ajuster aux inflexions et aux climats très changeants du livret de Badoaro, et à glisser presque imperceptiblement de la déclamation à des passages chantants plus lyriques. En même temps, il produit de forts contrastes et une interaction dynamique entre les personnages—dieux, héros et simples mortels (certains vertueux, d’autres vils). Au sein d’une structure musicale en arche, il crée un suspense qui prend au tripes—combien de temps l’inconsolable Pénélope tiendra-t-elle face aux trois prétendants et aux arguments murmurés par sa suivante Mélanto? Monteverdi nous fait voir que la carapace de déni que Pénélope s’est formée pour se protéger l’empêche d’admettre que la seule personne capable de bander l’arc d’Ulysse et d’éloigner les prétendants est l’homme debout devant elle—son propre époux de retour. Il ne subsiste pas de manuscrit autographe d’Ulisse. Une unique copie faite dix ans après la mort du compositeur a été découverte en 1881 à Vienne et n’est disponible en fac-similé que depuis 2006. Cette partition, qui a des lignes instrumentales manquantes et quelques blancs dans la musique, se distingue aussi à un certain nombre d’égards significatifs des neuf livrets manuscrits qu’on connaît, dont un seul semble avoir été préparé en référence directe à la partition. Cela nous permet de voir les endroits où Monteverdi a choisi de couper et de réarranger le texte de Badoaro pour lui donner une plus grande cohérence dramatique. Baodaro reconnut par la suite avec beaucoup de tact que «ayant vu l’opéra représenté dix fois, je peux catégoriquement affirmer que mon Ulysse est plus obligé par Votre Seigneurie que le vrai Ulysse ne l’est par la toujours charmante Minerve». Sans version «définitive» ou «authentique» d’Ulisse à laquelle se fier, la première priorité pour tout interprète est de réconcilier les sources qui subsistent et de corriger les évidentes divergences et erreurs du copiste (Je remercie James Halliday et Paolo Zanzu pour leur aide à cet égard.). Les deux derniers opéras de Monteverdi ne se sont pas cristallisés en «œuvres» immuables avec un texte figé, mais, en tant qu’organismes vivants, ont été constamment soumis à des ajouts, coupures, transpositions et révisions. Toute tentative pour les ressusciter de nos jours proposera nécessairement une solution différente. Lorsqu’il a fallu combler les lacunes musicales dans la partition de Vienne, il a semblé préférable de puiser à la musique de Monteverdi lui-même plutôt que de chercher de la musique contemporaine de ses disciples ou de ses pairs. Car malgré les différences marquées de forme et de langage, et les trente-trois ans qui séparent Ulisse de son premier opéra, L’Orfeo, les deux opéras révèlent une évidente cohérence dans la mise en musique du texte—qui témoigne de son attachement aux idéaux de ce qu’il appelait «imitation» et «représentation». Ainsi, pour le chœur des naïades à l’acte 1 scène 6, lorsqu’elles sauvent ses biens et ses trésors sur le rivage, nous avons trouvé que le balletto à trois voix de ses Scherzi musicali (1607), «De la bellezza le dovute lodi», convenait très bien. Pour le ballo greco de l’acte 2 scène 6, où les prétendants intensifient leur cour à Pénélope, nous sommes retournés à trois sections de son ballet choral Tirsi e Clori (1615) (sans doute sa première œuvre semi-théâtrale composée à Venise, et publiée quatre ans plus tard dans son septième livre de madrigaux). Enfin, nous avons trouvé la place pour une entrate brève et angoissée de son Ballo delle ingrate (1608, mais publié deux ans seulement avant la création d’Ulisse) pour la pantomime des prétendants qui tentent vainement de bander l’arc d’Ulysse à l’acte 2 scène 12, et un fragment fantasque pour annoncer l’entrée d’Euryclée à l’acte 3 scène 8. Les décisions relatives à toutes les autres questions d’édition et d’interprétation découlaient de la prémisse initiale—jouer la trilogie non pas dans des théâtres à l’italienne généreusement équipés de machinerie, décors et accessoires, mais dans des salles de concert (l’exception étant le Teatro la Fenice de Venise, où nous avons donné deux cycles complets sur une avant-scène ouverte). Notre but était de faire toucher à Monteverdi, au-delà des amateurs d’opéra, un public plus vaste et plus jeune. En présentant sa trilogie dans des mises en scène vivantes mais dépouillées, nous visions à communiquer la force radicale et explosive de ces grands drames musicaux, les profondeurs émotionnelles qu’ils sondent, et leur climat étonnamment moderne, sans perdre l’intimité intrinsèque de forme et de dialectique. Nous savons (cette fois grâce à un autre de ses librettistes, Michelangelo Torcigliani) que Monteverdi était toujours à l’affût de livrets avec des climats changeants—«parce qu’ils lui donnent la possibilité de montrer les merveilles de son art avec tout un registre d’émotions, adaptant ses notes aux mots et aux passions de telle manière que le chanteur rie, pleure, enrage, compatisse, et fasse tout ce qu’on lui demande; entre-temps l’auditeur est amené par le même élan à percevoir la diversité et la force de ces mêmes passions». Une grande partie de nos répétitions a été passée à explorer la brillante fusion de la musique et du texte chez Monteverdi, et à nous assurer que chanteurs et instrumentistes soient les uns et les autres pleinement investis dans le texte. Suivant les préceptes de son contemporain Marco da Galliano, lui-même compositeur d’opéras, nous cherchions «à ciseler les syllabes pour faire bien comprendre les mots», non seulement par une diction exacte dans sa prononciation et ses inflexions linguistiques, mais avec un plaisir sensuel. Notre coach linguistique, Matteo Dalle Fratte, s’est donné beaucoup de mal pour faire comprendre à la distribution la beauté envoûtante de l’italien chanté lorsque les consonnes sont projetées de manière percutante et expressive en contrepoint avec le lisse flot legato des voyelles. Cela s’applique non seulement aux consonnes doubles, mais aussi aux virgules de la ponctuation, aux accents agogiques, aux répétitions de mots et aux exclamations. C’est seulement une fois que la technique a été pleinement maîtrisée par les chanteurs-acteurs (à l’opposé des redoutables habitudes dont souffrent beaucoup de chanteurs d’opéra) que la perception des mots par l’auditeur peut produire un véritable frisson; mais cela souligne aussi le vocabulaire expressif de Monteverdi dans sa mise en musique du texte et sa manière habile d’imiter les accents parlés. La légère anticipation de la consonne initiale et un minuscule retard avant la voyelle reflètent le processus mental de la narration. Pour moi, c’est analogue aux manières dont Monteverdi utilise à la fois le rythme et le contrepoint. Dans ses opéras, il emploie habituellement une alternance de mètres binaires et ternaires avec un tactus implicite (une battue régulière et invariable). C’est ici que naît l’intérêt rythmique. À quoi s’ajoute la tension harmonique qu’il instaure entre ses lignes vocales et la basse continue qui les soutient. Celle-ci procède normalement avec une pulsation ou un rythme harmonique régulier, mais s’épanouit en dissonances expressives à des moments-clefs, lorsqu’il imagine que ces deux lignes complémentaires doivent entrer en collision et en conflit. On imagine donc mon plaisir en découvrant que le regretté metteur en scène Sir Peter Hall a relevé quelque chose d’étonnamment similaire dans la technique utilisée par Shakespeare pour ses grandes tragédies et pièces tardives, écrites exactement au même moment où Monteverdi débutait comme compositeur d’opéras. Hall fait référence à «une liberté dans le vers qui est parfaitement miraculeuse. [Dans Le Conte d’hiver], la passion tortueuse et la paranoïa de Léonte sont très justement exprimées par ses rythmes irréguliers et figés, et ses mauvais accents. Mais ces irrégularités n’ont de sens, sur le plan des émotions, et ne peuvent affecter le public que si l’acteur connaît la régularité sous-jacente qui est en dessous. Il doit savourer les décalages rythmiques, être porté par les irrégularités et utiliser les bosses dans la fluidité à des fins émotionnelles.» Jusque-là, le parallèle est frappant. Hall compare l’interprétation de la poésie du Shakespeare de la maturité aux défis qu’affronte un grand musicien de jazz—bien que cela s’applique tout aussi bien, à mon sens, à un chanteur ou à un continuiste qui interprète les opéras de Monteverdi: «Il faut garder la battue, et toujours sentir le rythme. Mais c’est la tension entre cette régularité et l’irrégularité du discours [ou, dans le cas de Monteverdi, la ligne vocale opposée à la basse continue] qui exprime le trouble émotionnel. Plus la poésie est près de s’effondrer, plus l’expression est torturée et chargée d’émotion. Mais elle ne doit jamais s’effondrer, pas plus que le musicien de jazz ne peut jamais manquer le temps ou être out. L’acteur doit risquer la désintégration rythmique, mais ne jamais y céder. Ce que le public reçoit est donc inattendu, dangereux, et toujours imprévisible» (Exposed by the Mask). John Berger exprime quelque chose de similaire: «La façon dont les chanteurs jouent avec la linéarité du temps ou la défient a quelque chose en commun avec ce que font les acrobates et les jongleurs avec la force de gravitation … Le tempo, la battue, les boucles, les répétitions d’un chant construisent un abri contre l’écoulement du temps linéaire : un abri dans lequel futur, présent et passé peuvent consoler, provoquer, ironiser et s’inspirer l’un l’autre» (Confabulations). Dans Ulisse, on entend comment les habiles transitions de Monteverdi entre la conversation en «parole chantée» (récitatif) et le chant pur (aria) ou une combinaison des deux (arioso) servent à intensifier l’expression du tempérament et de l’état d’esprit des personnages. En pratique, chaque interprète a besoin d’avoir constamment conscience de la direction du discours—de la distinction cruciale chez Monteverdi entre narration (diégèse) et représentation (mimesis)—et comment cela affecte le mouvement vers l’avant de l’action, ainsi que le contenu émotionnel et le «ton» de chaque monologue ou échange. Cette distinction, qui était quelque chose de nouveau dans l’évolution du théâtre musical de l’époque, s’est développée en parallèle avec les techniques que Shakespeare explorait dans ses pièces tardives. Quand Hamlet dit à l’acte 2 scène 2: «Maintenant je suis seul.—Ô misérable rustre, maroufle que je suis!»—il n’est manifestement pas seul, mais s’adresse à un auditoire bruyant au Théâtre du Globe. Comment créer l’illusion d’intimité? Voilà la question critique. Comment révéler une émotion crue et extrêmement personnelle avec une intensité irrésistible, mais sans que personne ait à forcer sa voix? Cette juxtaposition de deux mondes opposés est étonnamment proche de ce qu’on trouve dans Comme il vous plaira de Shakespeare, où la forêt représente la liberté, la bonté naturelle et la vie en harmonie avec la Nature, tandis que la cour, peuplée de sycophantes et de prétendants, symbolise tout ce qui est gâté et traître. Pourrait-on donc considérer l’Ulisse de Monteverdi comme une espèce d’anticomédie shakespearienne? Après tout, l’opéra culmine dans un retour au lit conjugal après une histoire d’erreur d’identité démêlée, avant que l’ordre naturel ne soit finalement rétabli. Aucune autre intrigue de l’époque n’a ce genre de trajectoire mis à part la tragicomédie de Shakespeare. Mais les parallèles s’étendent bien au-delà. Dans son portrait d’Ulysse, et plus encore de Pénélope, Monteverdi révèle son profond intérêt pour un monde intérieur, comme fait Shakespeare dans Hamlet et Le Roi Lear: le dramaturge et le compositeur explorent tous deux des pensées et sentiments complexes qui vont au-delà des mots et des actions. Il Ritorno d’Ulisse, l’avant-dernier opéra de Monteverdi, marque une autre étape dans une vie passée à transformer la musique—d’un acte d’habile artifice reflétant l’harmonie des sphères en une forme d’expression enracinée dans les vérités et émotions humaines. Cela correspondait à un changement fondamental—d’un langage musical qui parlait essentiellement en affirmations métaphysiques en un langage capable de refléter un monde plein de misère, de dépravation, mais aussi d’amour rédempteur. Il se trouve qu’il coïncide exactement avec l’une des périodes turbulentes de l’histoire de la peinture, où des artistes comme Vélasquez, Rembrandt ou Artemisia Gentileschi, tous au faîte de leurs facultés, libéraient leur énergie et prenaient des libertés équivalentes avec les conventions vénérées. Y a-t-il aucun autre opéra qui culmine dans un duo où les deux protagonistes chantent ensemble pour la toute première fois? Ils ne se sont pas parlé pendant vingt ans. Il revient après avoir été porté disparu. Elle est restée dévouée et inflexible, ne laissant éclater son chant que lorsqu’elle a la preuve irréfutable qu’il est son homme. Mais maintenant ils partagent le langage de l’amour avec une touchante unanimité qui est une proclamation de vie. Diese Einspielung von Il ritorno d’Ulisse entstand im September 2017 in Breslau als Höhepunkt einer siebenmonatigen Entdeckungsfahrt durch Monteverdis drei noch erhaltene Opern. Anlässlich seines 450. Geburtstags stellten wir für 33 Aufführungen in acht europäischen Ländern eine gut eingespielte Truppe aus Sängern und Instrumentalisten zusammen und beschlossen den Zyklus in Chicago und New York. Monteverdi wäre wohl ganz schön erstaunt gewesen, hätte er erfahren, dass es seinen mittlerweile berühmten Opern gelingt, 374 Jahre nach seinem Tod schätzungsweise siebzigtausend Zuhörer anzulocken (und darin sind noch keine der anderen Aufführungen im Rest der Welt im Jubiläumsjahr 2017 mitgezählt!). Wurde seine Musik noch vor fünfzig Jahren kaum eines Blickes gewürdigt, werden seine Opern heute relativ häufig inszeniert, auch wenn lediglich L’incoronazione di Poppea es in den Mainstream-Opernkanon geschafft hat. Paradoxerweise können wir nicht mal bei den drei erhaltenen Stücken davon ausgehen, hier den Gipfel seines Schaffens vor uns zu haben, da über die Jahrhunderte so viel verloren ging. Wenn man Zeitzeugen glaubt, müssen wohl seine Arianna (1608) und Le nozze d’Enea con Lavinia (1641) als schmerzlichste Verluste gelten. Nichtsdestotrotz sind aber auch jene Werke, die überdauert haben, von fesselnder Dramatik, wahrhaftiger Menschlichkeit und umwerfend schöner Musik geprägt. Was veranlasste Monteverdi wohl, in seinem 74. Lebensjahr aus dem Opern-Ruhestand zu treten und—in einem letzten, großen Kreativitätsschub—das neue Genre noch einmal so fruchtbar zu bereichern? Immerhin hatte er gerade die Priesterweihe empfangen; als vielbeschäftigtem Maestro di Cappella di San Marco blieb ihm wenig Freiraum zum einträglichen Nebenerwerb. Konnte er vielleicht nicht widerstehen, als sich die Möglichkeit bot, sein künstlerisches Glaubensbekenntnis einem breiteren—und zudem zahlenden—Publikum zu verkünden? Monteverdi war der Ansicht, dass Musik erst auf der Bühne ihre größtmögliche Wirkung entfalten und vor allem durch den zeitlichen und räumlichen Rahmen die „Gefühle bewegen“ könne, wie er es selbst ausdrückte [„muovere gli affetti“]. Und hier kommt Giacomo Badoaro ins Spiel. Der Librettist des Ulisse war führendes Mitglied der venezianischen Accademia degli Incogniti, welche bekanntermaßen gar nicht begeistert war von der Qualität der Opern, die seit Eröffnung der Theater 1637 entstanden waren. Badoaro nahm sich in einem schmeichelnden Brief an Monteverdi selbst der Sache an „um die Tugend Eurer Ehren anzustacheln und dieser Stadt [Venedig] klarzumachen, dass, wenn es um Gefühlshitze geht, Ihr den großen Unterschied zwischen einer echten und einer gemalten Sonne ausmacht.“ Genügte das schon, Monteverdi in Versuchung zu führen? Oder lag dies an Homers Erzählung von Odysseus’ Heimkehr nach Ithaka mit ihren zeitlosen Themen von Treue, Reue und Lust? Seit ich 21 Jahre alt war, stand Il ritorno d’Ulisse ganz oben auf meinem Wunschzettel jener Werke, die ich einmal dirigieren wollte. Das Werk verkörperte für mich all den exotischen Reiz der italienischen Musik des frühen siebzehnten Jahrhunderts. Bei der erstmaligen Aufführung des Ulisse 2017 bestätigte sich mir dann auch, wie sehr er auf Augenhöhe mit den berühmteren Orfeo und Poppea steht, doch ich glaube, dass er uns alle, die wir an der gesamten Monteverdi-Trilogie mitwirkten, am stärksten überzeugte und bewegte. Die Uraufführung des Ulisse war 1640 ein durchschlagender Erfolg: Nach mindestens zehn Aufführungen vor vollem Haus in Venedig folgten Gastspiele in Bologna und die Wiederaufnahme in Venedig im Folgejahr. Der Schlüssel zum damaligen wie heutigen Erfolg liegt darin, wie gewandt und geschmeidig Monteverdi die Dinge musikalisch angeht und erörtert, wie geschickt er den plötzlichen Stimmungsumschwüngen und Wendungen in Badoaros Textvorlage folgt und nahezu unmerklich gleitend zwischen deklamierenden und eher liedhaft-lyrischen Abschnitten wechselt. Im gleichen Atemzug schafft er starke Kontraste und ein dynamisches Wechselspiel zwischen den Figuren—zwischen Göttern und Helden ebenso wie den Vertretern der niederen Ständen, seien sie nun rechtschaffen oder zwielichtig. Innerhalb der übergreifenden musikalischen Anlage erzeugt er herzzerreißende Spannung: Wie lang kann die untröstliche Penelope den drei Freiern und den geflüsterten Einwänden ihrer Zofe Melantho widerstehen? Monteverdi zeigt uns, dass die harte Schale des Leugnens, die sich Penelope zum Selbstschutz zugelegt hat, ihr den Blick darauf versperrt, dass der einzige, der Odysseus’ Bogen spannen und ihr damit die Freier vom Hals schaffen kann, jener Mann ist, der vor ihr steht: ihr zurückgekehrter Gatte. Aus Monteverdis eigener Hand ist keine Partitur des Ulisse erhalten. Lediglich eine Abschrift, die ein Jahrzehnt nach dem Tod des Komponisten entstand, wurde 1881 in Wien entdeckt und steht seit 2006 im Faksimile zur Verfügung. Dieser Partiturabschrift fehlen die Instrumentalstimmen sowie einige Stellen in der Musik; zudem weicht sie in einer Reihe wesentlicher Punkte von den neun erhaltenen Librettoabschriften ab, von denen nur eine in Zusammenhang mit der Partitur entstanden zu sein scheint. Aus diesen können wir aber rückschließen, wo Monteverdi Badoaros Textvorlage beschnitt und umstellte, damit sich eine schlüssigere Dramaturgie ergibt. Baodaro räumte später taktvollerweise ein: „Nachdem ich die Oper nun zehnmal gesehen habe, kann ichçmit Nachdruck bestätigen, dass mein Odysseus Euer Ehren mehr verdankt als der echte Odysseus der unsterblich reizenden Minerva.“ Ohne möglichen Bezug auf eine „letzte“ oder „originale“ Fassung des Ulisse sollte jeder Aufführende zuallererst die erhaltenen Quellen sichten, um offensichtliche Unstimmigkeiten und Kopistenfehler zu beseitigen. (In diesem Zusammenhang danke ich James Halliday und Paolo Zanzu für ihre Hilfe.) Monteverdis letzte beide Opern kristallisierten nicht als unveränderliche „Werke“ mit einem festen Text aus, sondern waren als stoffwechselnde Lebewesen ständigen Erweiterungen, Kürzungen, Transpositionen und Umarbeitungen unterworfen. Jeder Versuch, sie in der heutigen Zeit wiederzubeleben, muss sich unweigerlich eine neue Lösung einfallen lassen. Als es darum ging, die Lücken in der Wiener Partiturabschrift zu schließen, an denen keine Musik überliefert ist, schien auf der Hand zu liegen, sich eher bei Monteverdis eigenen Stücken aus früheren Schaffensperioden zu bedienen als in zeitlich näherer Musik seiner Schüler oder Komponistenkollegen zu suchen. Denn trotz der klaren Unterschiede in Form und Tonsprache und trotz der 33 Jahre, die zwischen Ulisse und seiner ersten Oper L’Orfeo liegen, ist die Spurenlage eindeutig; Monteverdi hält in beiden Stücken an seinen Idealen der Textvertonung fest: Nachahmen („imitare“) und Vertreten („rappresentare“). So konnten wir auch für den Chor der Najaden (1. Akt, 6. Szene), als sie Odysseus’ Hab und Gut vom Ufer retten, ein dreistimmiges balletto finden, das wie angegossen passt: „De la bellezza le dovute lodi“ aus seinen Scherzi musicali (1607). Für den ballo greco im zweiten Akt (6. Szene)—hier steigern die Freier ihr Werbebemühen um Penelope noch einmal—bedienten wir uns an drei Stellen in Monteverdis Chorballett Tirsi e Clori von 1615 (vermutlich sein erstes Stück mit theatralischen Elementen, das in Venedig entstand; vier Jahre später wurde es in seinem 7. Madrigalbuch veröffentlicht). Und schließlich konnten wir auch noch kurze, gequält nagende entrate aus seinem Ballo delle ingrate (entstanden 1608, aber erst zwei Jahre vor Uraufführung des Ulisse veröffentlicht) unterbringen: während die Freier im stummen Spiel beim Spannen von Odysseus’ Bogen scheitern (2. Akt, 12. Szene) und als launisches Fragment zur Ankündigung von Eurykleias Auftritt im dritten Akt (8. Szene). Einen Großteil der Probenzeit nutzten wir, Monteverdis geistreiche Verschmelzung von Text und Musik zu erkunden und sicherzustellen, dass alle, Sänger wie Instrumentalisten, völlig mit dem Text vertraut sind. Den Geboten von Marco da Gagliano, ebenfalls Opernkomponist, folgend, bemühten wir uns, „die Silben wie ein Steinmetz zu modellieren, damit die Worte gut zu verstehen sind“ und—bei linguistisch einwandfreier Aussprache und Tonfall—sie sinnlich auszukosten. Unser Sprachcoach Matteo Dalle Fratte strengte sich sehr an, der Besetzung die faszinierende Schönheit des gesungenen Italienisch nahezubringen—mit seinen perkussiv und ausdrucksstark herausgeschleuderten Konsonanten als Kontrapunkt zum sanft fließenden Legato der Vokale. Und da denke man nicht nur an Doppelkonsonanten, sondern auch an Kommasetzung, agogische Betonungen, Wortwiederholungen und Ausrufe! Erst wenn die Sängerdarsteller diese Technik wirklich aus dem Effeff beherrschen (und nicht, wie das die Krankheit vieler Opernsänger ist, ins grässliche „singerese“ verfallen—so nennen wir es im Englischen, wenn jemand seine heimischen Aussprachemuster der gesungene Sprache überstülpt), nur dann also können sie jenen Gänsehauteffekt beim Zuhörer erzeugen, wenn dieser die Worte vernimmt. Und außerdem kommt dies der Ausdrucksvielfalt in Monteverdis Textvertonung zugute sowie seiner geschickten Art, Sprachbetonungen nachzuahmen. Indem man einen nahenden Konsonanten leicht vorwegnimmt und den folgenden Vokal um eine Winzigkeit verzögert, spiegelt man den Gedankengang der Erzählung. Das ist für mich vergleichbar mit der Art und Weise, wie Monteverdi Rhythmus und Stimmführung behandelt. In seinen Opern lässt Monteverdi das Metrum ständig zwischen geraden und ungeraden Takten über einem zugrundeliegenden tactus (einem regelmäßig durchgehenden Schlag) wechseln. Hier entsteht der rhythmische Nervenkitzel. Hinzu kommt die harmonische Spannung, die er zwischen den Gesangslinien und der Generalbassstütze aufbaut. Letztere schreitet üblicherweise in einem regelmäßigen harmonischen Rhythmus oder Puls voran, lässt jedoch an Schlüsselstellen ausdrucksstarke Dissonanzen sprießen, wenn Monteverdi meint, dass beim Zusammenprall der beiden sich ergänzenden Stimmen die Funken fliegen sollen. Im Ulisse können wir hören, wie Monteverdis gekonnte Übergänge zwischen normaler „gesungener Sprache“ (Rezitativ), reinem Gesang (Arie) und einer Mischung aus beiden (Arioso) dazu dienen, Wesen und Gemütszustand der Figuren klarer herauszuarbeiten. In der Praxis muss sich jeder Aufführende ständig des Gedankengangs und dessen Entwicklungsrichtung bewusst sein und—angesichts von Monteverdis wichtiger Abgrenzung zwischen Vermitteln (Diegesis) und Nachahmen (Mimesis)—des Einflusses, den dies auf den Gang der Handlung sowie die emotionale Botschaft und den „Ton“ jedes Monologs oder Gesprächs hat. Hier zu unterscheiden, war völlig neu für die damalige Entwicklung des Musiktheaters und entwickelte sich parallel zu jenen Methoden, die Shakespeare in seinem Spätwerk erprobte. Als Hamlet in der zweiten Szene des zweiten Aktes sagt „Jetzt bin ich allein. O welch ein Schurk’ und niedrer Sklav’ bin ich!“, ist er ja ganz offensichtlich nicht allein. Er wendet sich vielmehr an das lärmende Publikum im Globe Theatre. Entscheidend ist hier, wie nun der Anschein von Innigkeit erzeugt werden kann, wie man dieses rohe, höchstpersönliche Gefühl mit überwältigender Kraft offenlegt, aber ohne zu forcieren. Diese Gegenüberstellung zweier gegensätzlicher Welten ähnelt auf verblüffende Weise jener in Shakespeares Wie es euch gefällt; dort steht der Wald für die Freiheit, ungekünstelte Güte und ein Leben im Einklang mit der Natur, während der Hof mit all seinen Schmeichlern und Heuchlern für alles Verdorbene und Trügerische steht. Können wir Monteverdis Ulisse also eine Art Shakespear’scher „Anti-Komödie“ betrachten? Schließlich gipfelt das Stück nach Irren und Wirren, nach Verwechseln und Enträtseln in der Heimkehr ins Ehebett, wo nun zu guter Letzt die natürliche Ordnung der Dinge wiederhergestellt ist. Keine andere Handlung jener Zeit nimmt einen solchen Verlauf—außer Shakespeares Tragikomödien. Doch die Gemeinsamkeiten mit dem großen „Barden“ reichen noch wesentlich weiter. Bei seiner Darstellung des Odysseus (und mehr noch der Penelope) sorgt sich Monteverdi sehr um die Innenwelt, ganz wie Shakespeare in Hamlet und King Lear. Dramatiker und Komponist: Beide untersuchen sie vielschichtiges Denken und Fühlen, das über Worte und Taten hinausreicht. Il ritorno d’Ulisse, Monteverdis vorvorletzte Oper, ist ein weiterer Schritt in einem Leben, das Musik veränderte: vom geschickten Kunstgriff, die Sphärenharmonie nachzuzeichnen, zu einer dramatisierten Ausdrucksform, die in menschlichen Wahrheiten und Gefühlen wurzelt. Dies lief auf einen grundsätzlichen Richtungswechsel hinaus: von einer Musiksprache, die sich vorrangig in metaphysischen Bekräftigungen äußerte, hin zu einer, die eine ganze Welt des Elends, der Verdorbenheit, doch auch der erlösenden Liebe widerspiegeln kann. Und es fällt genau zusammen mit einer jener wilden Zeiten in der Geschichte der Malerei, als Künstler wie Velázquez, Rembrandt oder Artemesia Gentileschi auf der Höhe ihrer Kraft ihrer Kunst freien Lauf ließen und sich ähnlich ungebunden über heilige Bräuche hinwegsetzten. Gibt es auch nur eine andere Oper, die ihren Höhepunkt in einem Duett der beiden Hauptfiguren findet, die hier erstmals gemeinsam singen? Sie haben sich seit zwanzig Jahren nicht gesprochen. Er war als vermisst gemeldet und kehrt nun heim. Sie blieb derweil unerschütterlich treu, und es bricht erst dann mit Gesang aus ihr heraus, als zwingend klar wird, dass dies ihr Gatte ist. Doch jetzt teilen sie die Sprache der Liebe in bewegender, lebensbejahender Eintracht.